Monarch Air Group provides private air charter in Lubbock, TX. Our clients benefit from top-notch service, unrelenting dedication to safety, wide selection of aircraft, and years of experience in chartering private jets. To obtain a free quote, please use our online quoting tool provided below, or call toll free 1-877-281-3051. Monarch Air Group provides private jet charter flights in and out of Lubbock, Texas, USA. Lubbock is a city in northwestern Texas. It is also the county seat of Lubbock County. With a population of about 233,740, it is the 11th most populous city in the state of Texas and the 83rd most populous city in the USA. Lubbock is a home to Texas Tech University Health Sciences Center, Texas Tech University, and Lubbock Christian University. Nicknamed the “Hub City”, Lubbock is the health care, education, and economic hub of the South Plains. The most notable points of interest include National Ranching Heritage Center, Southwest Collection, Silent Wings Museum, Mackenzie Park, Joyland Amusement Park, and some others. 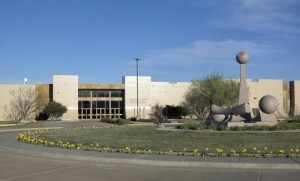 The city is served by Lubbock Preston Smith International Airport (LBB / KLBB), which is located 11 miles from the city. 1. Overton Hotel & Conference Center, 2322 Mac Davis Lane, Lubbock. 2. Studio 6 Lubbock, Tx Extended Stay Hotel, 4521 Marsha Sharp Freeway, Lubbock. 3. Holiday Inn Express Hotel, 5806 I-27, Lubbock. 4. Holiday Inn Lubbock – Hotel & Towers, 801 Avenue Q, Lubbock. 5. Overton Hotel & Conference Center, 2322 Mac Davis Lane, Lubbock. 6. Studio 6 Lubbock, Tx Extended Stay Hotel, 4521 Marsha Sharp Freeway, Lubbock. 7. Holiday Inn Express Hotel, 5806 I-27, Lubbock. 8. Holiday Inn Lubbock – Hotel & Towers, 801 Avenue Q, Lubbock. 9. Overton Hotel & Conference Center, 2322 Mac Davis Lane, Lubbock.